A timely rollover into a traditional IRA avoids extra taxes. When you quit a job with a 401(k), you won't be able to invest any more money into the plan. By rolling over your account into an individual retirement arrangement, you'll be able to keep saving for retirement. The tax treatment of your 401(k) rollover depends on which IRA you invest in, and whether you take too long to complete the rollover. You can make an IRA rollover only after you leave the company that offered the plan. Once you've left, you need to contact the plan administrator of your old 401(k) and ask how the administrator will roll over your money. Some 401(k)s transfer your savings directly into your IRA, but others send the money to you personally. If you get your money first, you have 60 days to put it into an IRA. Otherwise it will count as a withdrawal and you will owe income tax on your savings. If you are younger than 59 1/2, you also will be charged a 10 percent early-withdrawal penalty. When you roll over your 401(k) into a traditional IRA, you don't owe any taxes. This account continues to delay taxes on your retirement savings. The IRS will tax you only when you make a withdrawal. 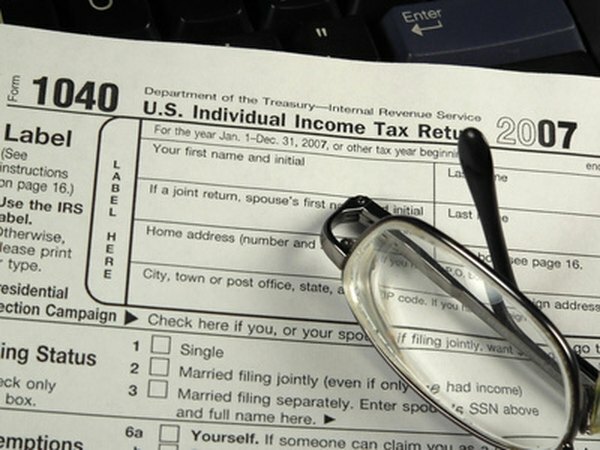 Taxes on a traditional IRA withdrawal taxes are the same as taxes on a 401(k). When you make a withdrawal from your IRA, the entire withdrawal will be taxable. If you take money out before you turn 59 1/2, you'll also owe the 10 percent penalty. You can also roll your 401(k) into a Roth IRA. The Roth IRA needs to be funded with after-tax dollars. To make this rollover, report your 401(k) balance as income, and pay income tax on the entire amount. Whatever is left after taxes goes into your Roth IRA. The benefit of a Roth IRA rollover is it that you won't owe any taxes when you make withdrawals in retirement. Your investment gains will be completely tax-free. The IRS limits the amount you can invest in an IRA. As of 2012, you could invest up to $5,000 a year in your IRA. If you are older than 50, you can invest up to $6,000. Your 401(k) rollover doesn't count as a contribution, as you are just moving your money from one retirement account to another. This means you can still make the maximum IRA investment for the year. Can You Invest a 401(k) in Day Trading? Which Retirement Fund Distributions Are Not Taxable?